Further to the orientation visit to Iran last March, CTCF –together with the Shahid Beheshti University and the Shahr-e-Kord University- submitted a plan to protect and conserve the trout population in the Lake Lar basin, Alborz Mountains. The basin upstream of the Lar Dam still holds an original, distinct, and highly valuable population of wild, indigenous, one hundred percent genetically pure brown trout (Salmo trutta). During the recent decade a severe decline of this population has been reported, due to –as was proved by scientific studies- recreational fishing in the lake. The fishing pressure had already lead to an ever increasing shortage of females available for reproduction, and is now coming to a point that the population’s continued existence is seriously threatened. Decreasing the number of permits sold for fishing in Lake Lar during the past years has shown no improvement whatsoever. Therefore a rather radical change in the fishing and/or the fishing regime has been suggested as to minimize the numbers of females taken from the population, thus increase the volume of natural egg production, and allow the population to restore itself. 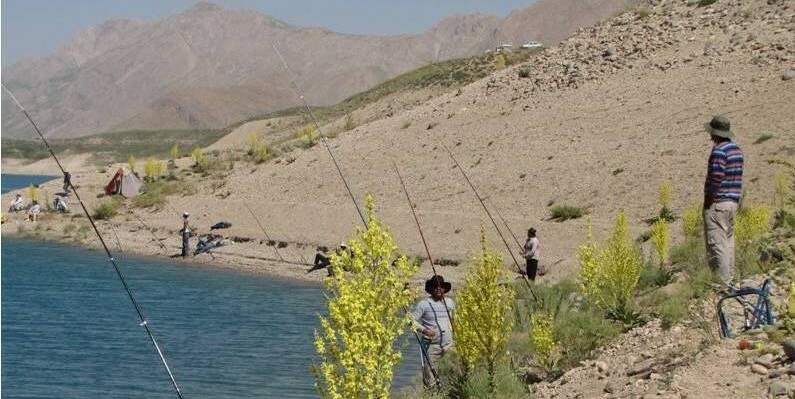 At the end of July The Iranian Department of Environment confirmed that they had agreed to the aforementioned plan to conserve the trout population in Lake Lar and its tributaries according to the points of departure set forth, and to proceed with its further elaboration and the preparation of implementing the (conservation) measures discussed. Also the D.O.E. agreed with a proposed field visit to Lar National Park and the upper Lake Lar basin, and the meetings with Iranian partners and potential stakeholders involved, in Tehran. Both have been scheduled to take place this Fall. For the realization of this project (2015) CTCF is looking for financial support. For more details and requirements please contact René Beaumont.